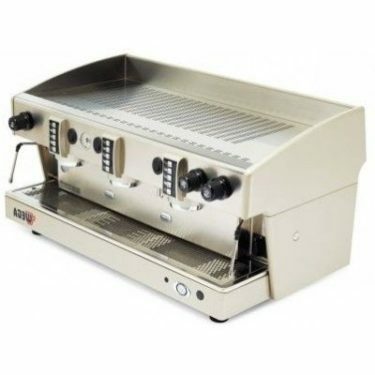 The Rocket REA 3 group commercial coffee machine, out of Milan is handmade to the highest quality. 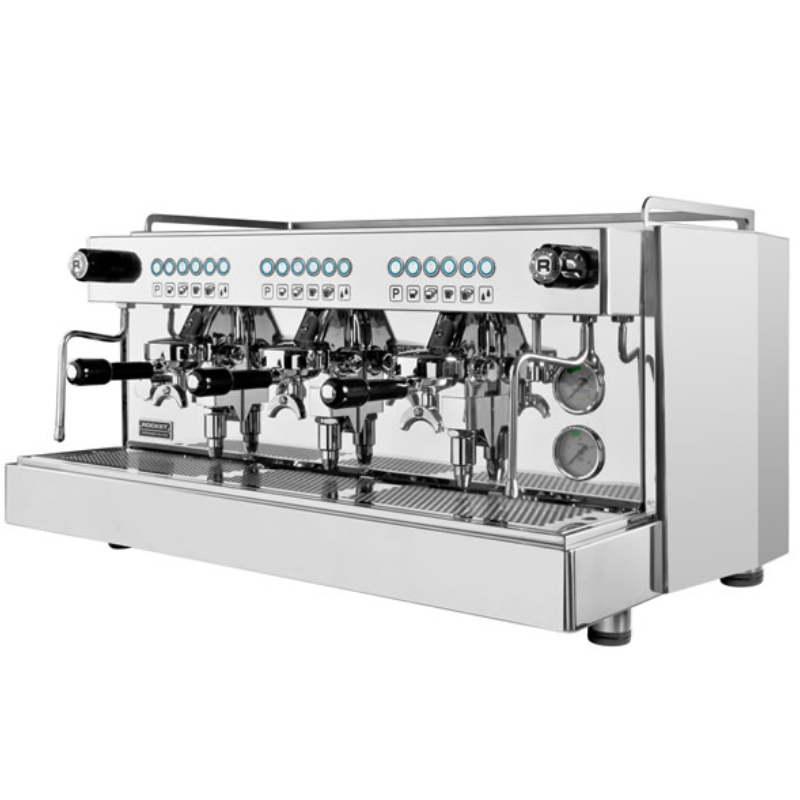 This commercial coffee machine has exceptional temperature stability, a perfect choice for high performance. Functionality aligned with craftsmanship. With a quick recovery and temperature stability the key focus. The high end heat exchange solution performs to deliver consistent results in demanding environments. Generously dimensioned Thermosyphon system for maximum temperature stability while use under peak demand. 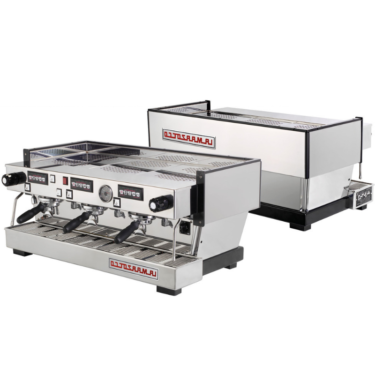 Commercial 2/3 and 4 group traditional espresso machines for the industry professional. 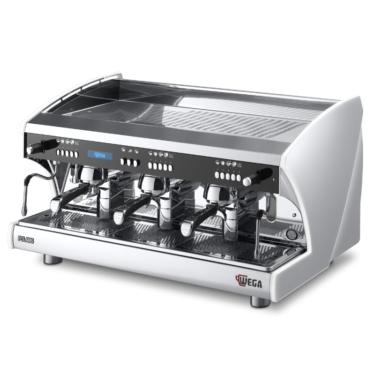 As demand for speciality coffee becomes stronger worldwide, so too does the industry professionals’ demands for quality, performance and value for money espresso machines. This makes the new “Linea Professionale” commercial model by Rocket Espresso Milan an assured choice. 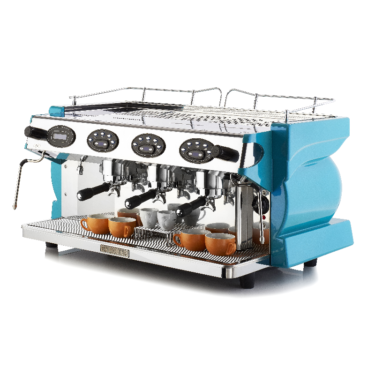 The release of Rocket Espresso’s Linea Professionale commercial model reflects the iconic and industry acclaimed reputation of the Rocket Giotto for its reliability, beautiful build quality and ultimate performance. 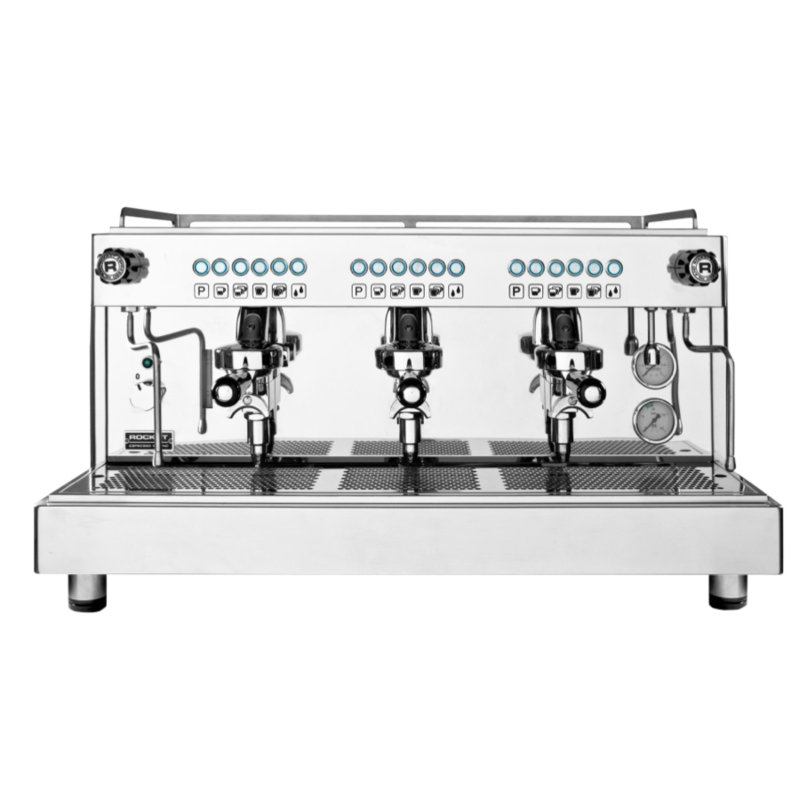 Rocket Espresso Milan believes temperature stability to be one of the most important factors in espresso machine design and performance. The electronically controlled temperature of the boiler. The oversized thermal mass of the E61 (5.1 kg) style group head. The generously dimensioned Thermosyphon System layout. All of these features allow the user confidence to attain optimal temperature stability while under maximum demand. All aspects of production continue to be hand assembled from the very best materials available. Either pre-sale or post you are welcome to call within trading hours support or inquiries. We believe that people like dealing with people who have a passion and interests for this industry. All machines are backed by after-sales phone/email support from Espresseur, along with a 1yr parts and labour warranty on applicable products.